Read any of the largest house builders year-end reports and it is all about profit, earnings per share, return on capital employed, sales, turnover, number of homes built, the average selling price and land bank values – all financial matters. Forecasts for the coming year are about the potential to increase these numbers. So it should be, after all they are commercial businesses and these numbers matter to investors, shareholders and the banks lending them money. But what about announcements regarding improving quality and customer satisfaction? Surely these matter to shareholders too, as any successful business must have happy satisfied customers. But it is very rare that any of the CEOs make any reference about the actual quality of their product in their year-end statements. Even when they do, it is normally a reference to the potentially manipulated HBF Customer Satisfaction Star Rating. The star rating is only based on around 30% of the homes that the larger house builders build each year so is hardly representative. CEOs may also mention awards won in the year such as the NHBC Pride in the Job Awards. However, some of the larger builders, whilst winning a handful of awards, have a poor record in the competition considering the number of active sites they have in any given year. Over recent years, Barratt (which includes David Wilson Homes) have actually increased the number of award winning site managers year-on-year, with NHBC Quality Awards in 2013 up 76% to 102 since 2008. Bellway is up a third in the same period, but with just 7 additional awards from a low base in 2008. The other house builders have remained close to their average with the notable exception of Persimmon, winning just 13 NHBC Quality Awards in 2013. No wonder Persimmon’s Chairman keeps quite about quality! In 2013, excluding Taylor Wimpey, the 7 remaining larger house builders built a combined total of 28,483 new homes between them, 108% more than Barratt, whilst winning 31% fewer NHBC quality awards. So why aren’t the house builder’s CEOs concerned about quality? All remuneration packages and bonuses are decided and related to profitability and numbers. Senior directors do not get paid more for building good quality homes, they don’t even get paid less for the bad publicity arising from badly built homes, so what incentive have they got to improve quality? There is never going to be a shortage of naive first-time buyers buying a new home, not as a preference, but because government subsidies make it possible to at least buy 80% of a new home. The house builders restricted supply will always mean people buy their new homes, even when they know the house builder has with a bad reputation, because there may be no other alternative developments in the area. So if the CEOs wanted to improve the quality of their new homes what could be done? They could do a lot worse than look at what Barratt have achieved and how they did it. Barratt introduced mandatory procedures and initiatives to ensure customer satisfaction is constantly monitored and given a high priority. Customer survey scores, NHBC inspection actionable items, customer after-care procedures and timescales are all monitored on a monthly basis each scored and contributing the to the site manager’s monthly bonus, a maximum achievable of £900 a month. The bonus is apparently, not related to achieving build programme dates. Barratt Site Managers are also some of the highest paid in the industry earning a basic salary of £48,000. Why would a good site manager choose to work for Linden, a 4 star rated house builder, paying a salary of around £40,000 with hardly any realistic chance of winning an NHBC award? The better site managers will actively avoid working for house builders with a reputation for numbers and profit and an apparent indifference to quality, specification and customer service. They don’t want to ‘put their name to’ badly built new homes. Quite a few of the better managers have now left the house building side of the industry forever, retiring early, or working on construction projects where their skills are valued, working with like-minded construction professionals, not accountants. The main house builders give their CEOs a total remuneration of around £2,000,000 a year. (the equivalent of two lottery wins, each year, every year!) If the CEOs took a 50% pay cut, this money could be used to double the salaries of the company’s top 20 best-performing site managers. Just a thought! 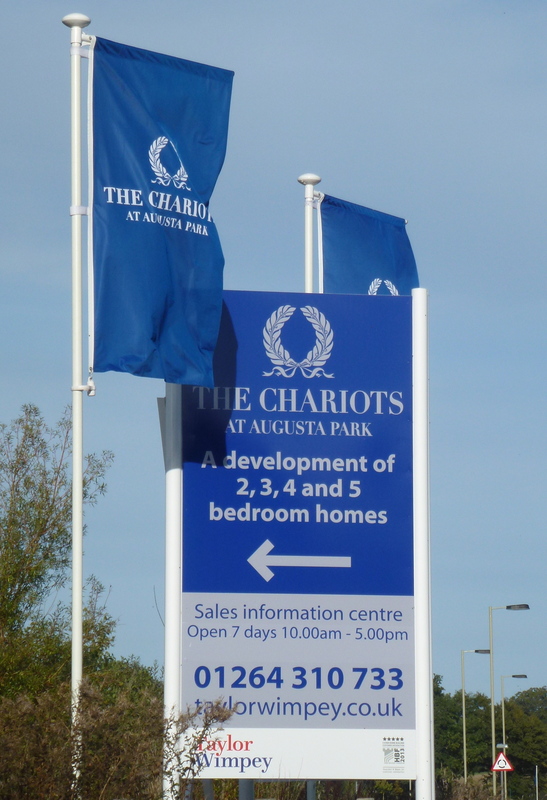 Instead of harping on about planning regulations and conditions, each CEO could also undertake to visit every single development at least once a year, asking the opinions of both site managers and sales advisors. If nothing else it, would ensure the sites get a good tidy-up and force the Regional Directors to look at more than just last month’s reservation numbers and next month’s legal completions. Perhaps the Regional Directors bonuses could be related to the number of defects and customer complaints raised in each region, or the number of NHBC Awards won by the region’s site managers. All house builders should immediately, stop refusing access to snagging inspectors until after legal completion. It is in everyone’s interests to achieve the highest possible standards so each new home is as perfect as it can be before a buyer moves in. Under CML rules, new homes are required to be fully completed two weeks before the legal completion date. During this period, the home could easily be checked and snagged by the buyer’s snagging inspector with any items identified corrected. Perhaps the CEOs should offer to pay all professional snagging inspectors £20, to forward to them, a copy of each report they carry out on behalf of their customers. At least then the CEO would be aware of the condition and quality standards in each region. The late Sir Laurie Barratt once enquired during a visit to a site in 1983, “what were the last three entries in the NHBC Site Inspection book?” During a similar site visit in 2003 by John White, the then CEO of Persimmon asked, “how many homes are Westbury building and are they selling?” [on an adjacent site.] Quality is all about the attitude and mindset of the CEO. If he doesn’t care and show he cares who else will? The writer has just this week written to Taylor Wimpey’s CEO Pete Redfern, to ask: “can you confirm what positive action you intend to take to improve the quality of the new homes that Taylor Wimpey builds, from this moment onwards” after becoming aware of a ‘potentially dangerous’ new home at Taylor Wimpey’s Chariots development in Andover. A total of 27 electrical faults, 9 of which were classed as “potentially dangerous” were discovered after the buyer instigated his own NICEIC electrical inspection. This was in addition to the 342 snagging items identified by the buyer’s independent snagging inspector but only after legal completion. Taylor Wimpey have confirmed that it will take their contractors at least 10 days to complete remedial works to all the defects identified. This on a site where, inexplicably, the site manager won an NHBC “quality” award! This entry was posted in New Homes, Snagging and Quality and tagged house builders, NHBC, quality, snagging, taylor wimpey. Bookmark the permalink.